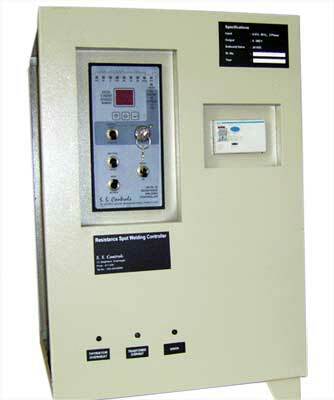 The company is engaged in offering the finest quality Pre Wired Panels in the industry. These Pre Wired Control Panels for Resistance Spot Welding Machines are also used in Spot Welding Guns, Resistance Projection Welding Machines and Resistance Seam Welding Machines. These pre wired panels are known for their compact designs and are free from any wear and tear for a longer period of time. They also save a lot of space and consequently, we are considered as one of the leading Pre Wired Panel Manufacturers and suppliers of India. S.S.Controls Controllers as per Models described. Back to Back Thyristors as per Capcity of the machine â�� Water Cooled, Air Cooled options available. In-built sensor inputs for Thyristor Overheat, Transformer Overheat, Water Flow etc. MCB / ELCB / RCCB for operator safety. Compact design, Saves floor space.